If you’re a fan of children’s literature, then you’re probably familiar with Sid Fleischman’s work. If not, here’s the scoop: Fleischman (1920-2010) was a Newbery Medal-winning author who wrote children’s books, screenplays, novels, instructional magic books, and a kid’s bio on Harry Houdini. In his youth, he performed magic in his hometown of San Diego, California, and, with a friend, even took his show on the road. Living only a mile from the park, I went there on a few occasions specifically to look for the exact location where the photo was taken. At first, it was a fun game to me; however, after about three or four unsuccessful attempts to locate the spot, I got antsy and finally sent the photo to an administrator of the Balboa Park Facebook page with a request to identify the mystery location. Within six minutes, the (unidentified, yet awesome) admin got back to me with an answer. 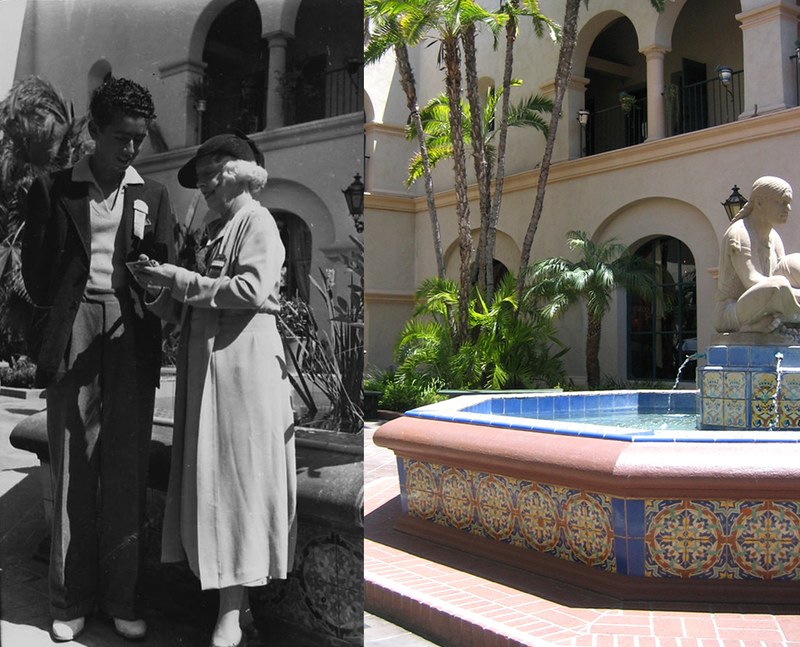 Fleischman and Bess were standing next to the fountain of the Aztec Woman of Tehuantepec (La Tehuana), located in the park’s House of Hospitality courtyard. I grabbed my camera, headed back to the park, and took some shots of the area where Fleischman and Bess once stood about 78 years ago. The image that follows is a side-by-side comparison, then and now. Obviously some things have changed since 1936, including some restoration and the addition of a brick foundation under the fountain. However, this is definitely the location. 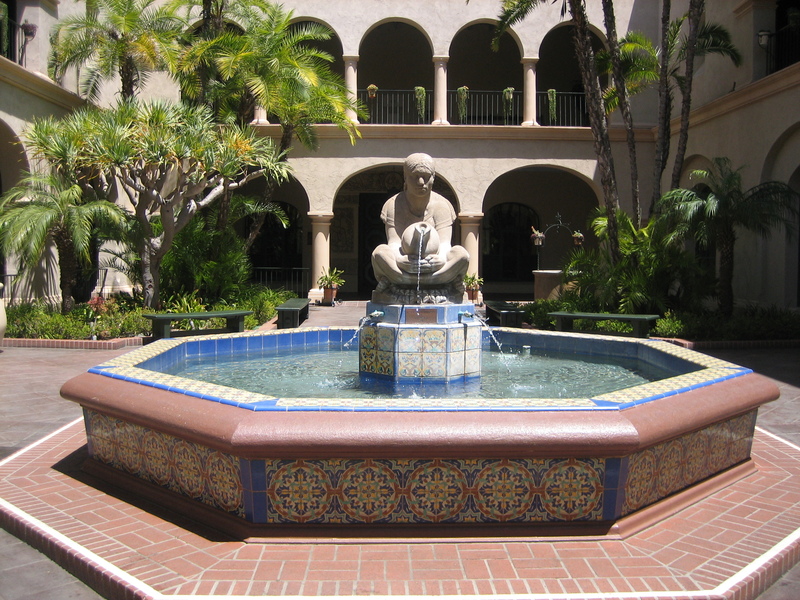 That sculpture, by the way, is by Donal Hord, who created the piece for the 1935 California Pacific International Exposition. 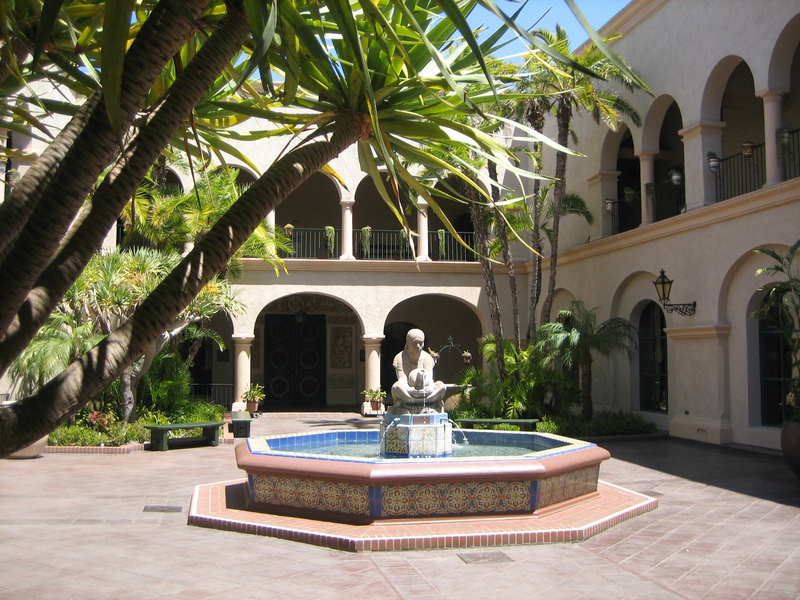 I’ve included a few more images of the fountain, sculpture, and courtyard below. To learn more about Sid Fleischman and his work, visit his official website at www.sidfleischman.com. 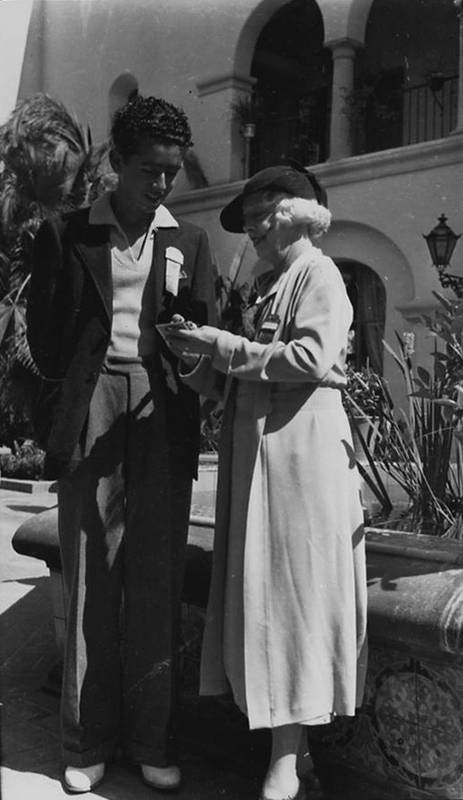 To read more about Bess Houdini, check out some of the great articles about her on John Cox’s Wild About Harry blog. 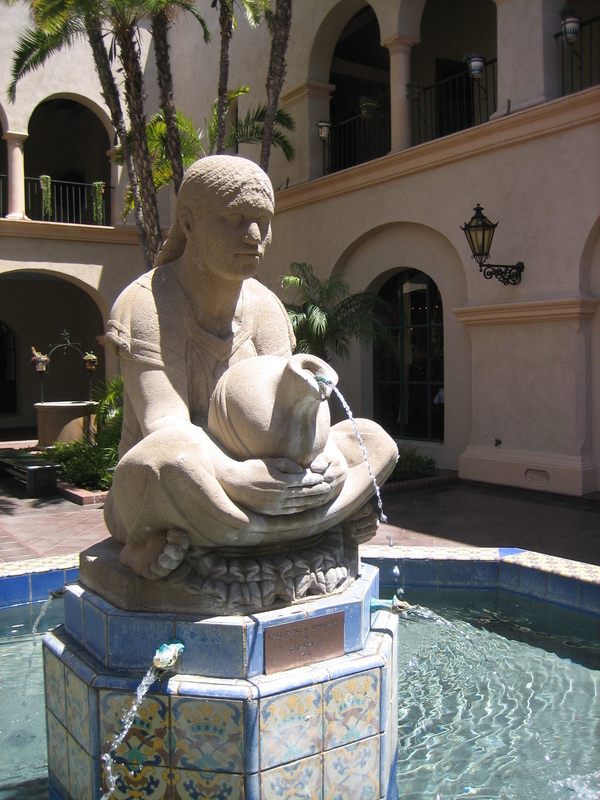 This entry was posted in Art, Authors, Bess, Literature, Sculptures, Sid Fleischman and tagged 1936, 2014, Aztec Woman of Tehuantepec, balboa park, beatrice, bess, bess houdini, bessie, ca, california, courtyard, donal hord, fountain, harry houdini, house of hospitality, la Tehuana, park, san diego, sculpture, sid fleischman, sidney fleischman. Bookmark the permalink.